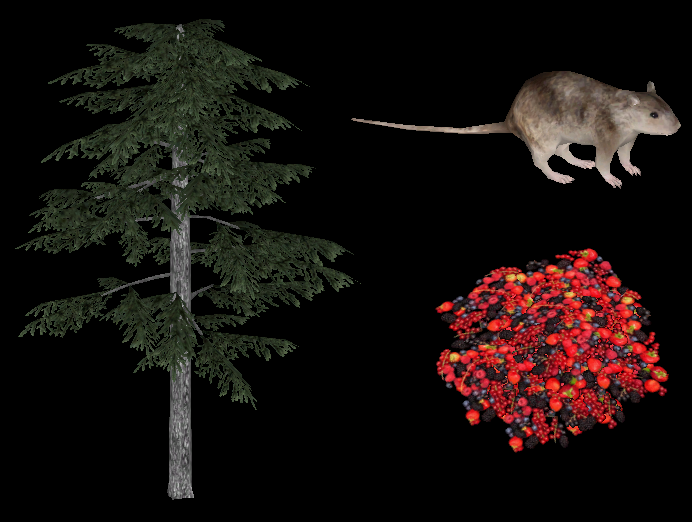 Description: A pack containing a much needed brown rat, a pine tree, a new mixed berries food and a dead rat enrichment food. The berries available in Terrain, food dish and elevated food dish. The Black pine requires the Mediterranean Scrub biome. The rat produces rodents droppings and turns into the dead rat when killed or dies.